A Teravail Cannonball on the front and a Clement MSO on the back for comparison on our Roker LTD test sled. Getting Rolling: Teravail Cannonball 38mm Tires- The Teravail Cannonball 38mm tires are now mounted front and rear on our Raleigh Roker LTD test bike. 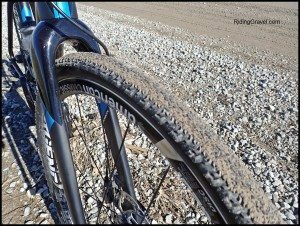 With a ride or two in on these tires, it is time to give some first impressions on these tubeless ready gravel specific tires. The introductory post on these tires can be found HERE. Now before I get into the ride performance of these tires, lets get some of the details on how these mounted up and a couple of other interesting notes out of the way first. The tubeless ready bead on the Cannonball tires exhibited these tiny mold lines, enhanced here by my bead prep. The tires came in at the advertised weight of a bit more than 500 grams. That was great to see. The tires felt a bit stiff out of the packaging, probably due to the bead to bead Aramid belt that Teravail uses in their 120TPI “Premium” tire casings, which our test tires have in them. With any tubeless tire I get to review, I always examine the bead shape. The Teravail Cannonball bead is very unlike any tubeless tire bead for bicycles I’ve ever seen. I’ve seen a lot of tires going back to 2005 and my ten year stint testing mountain bike components and bikes for another site, but in all that time, I’ve never seen a bead for tubeless tires with noticeably raised mold lines, like the Cannonball tires have. Usually this spells trouble in terms of sealing the tire against the rim, as when one tries to use a non-tubeless tire, but thankfully this wasn’t an issue for me. Still, it is worth noting. Aired up to proper riding pressures, after 24 hours, the tires both came out to 38mm by my measurement, so right on the money again. I also noted that the aforementioned bead to bead Aramid belt made the tire a bit more difficult to mount, as the last stage of mounting the Cannonball, where you are pushing over the second bead after mounting the first, the tire kept wanting to pop out, which was a bit annoying, but in the end it did go into place. Teravail advises that you use an air compressor to mount these and in the case of the Cannonball/Argent wheel combination, this was definitely necessary. Airing up to around 50psi seemed to be what it takes to get the beads to snap into place here. Once mounted, the Cannonball tires did not show any signs of leakage and held pressure well after a short ride. This is not unusual for tubeless tires, and I would always recommend a short, 20 minute or so ride, to bed in the tires and get the sealant distributed properly through the tires. I should also mention that the American Classic Argent wheels had the American Classic tubeless “gold” colored rim tape pre-installed and I use a combination of Stan’s and Mavic valve stems for this test. Teravail supplies an instruction/warning/warranty sheet with each tire that helps with installing these tires, should you not have a qualified shop technician do the job. It was interesting to note that instruction steps 8,9, and 10 were essentially redundancies and if you search the Teravail site under the “Safety” page, where the instructions point you to find recommended sealants and wheels, there is nothing. Sealant recommendations are found on the “Tech” page, however, and include Orange Seals, Stan’s, Continental, Hutchinson, Slime, and Orange Seals Sub-Zero sealants. 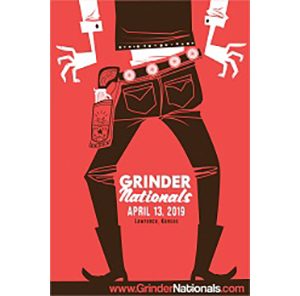 Finally, you may have seen that this tire has been endorsed by the Dirty Kanza 200 as being the “Official Tire” of that event. Ironically, according to Teravail’s warranty language, using the Cannonball in competition voids the warranty. So there is that……. Hopefully one would never need to worry about warranting these tires. Riding Impressions: With the tires set to a bit over 40psi, I set out onto the gravel to see if the claims were true. 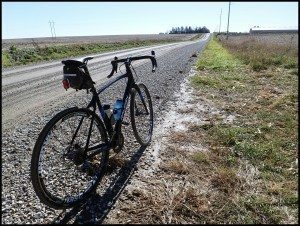 To be honest, these tires felt good, but they did not exhibit any immediately obvious benefits over other gravel tires I have used. In fact, the first thing I thought was how similar they are to Clement MSO’s in profile and in feel. 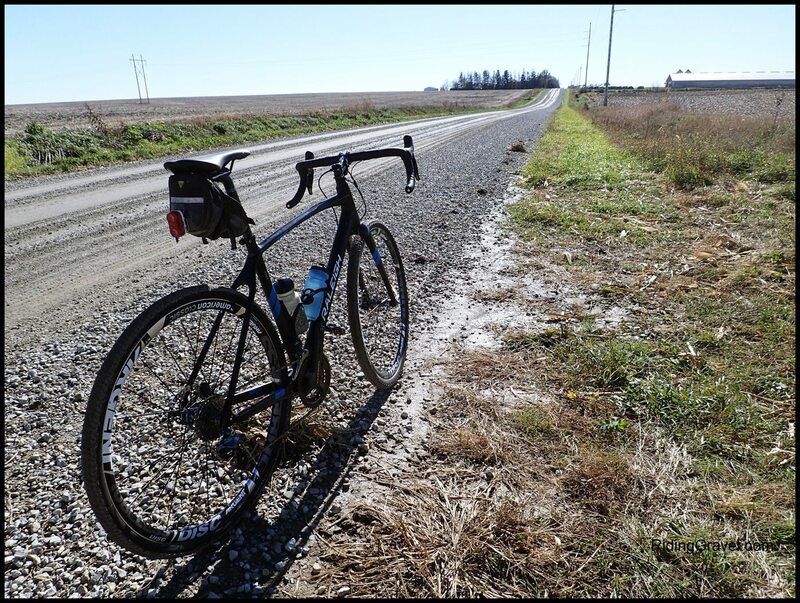 That isn’t a bad thing, by the way, since Clement tires are high on my list when it comes to good gravel road going tires. The obvious trump card Teravail holds here is that the Cannonball is tubeless ready. I will say that they had a great, damped feel, but again- not that far off other tires I’ve tried. So, what about those claims of lower rolling resistance and whatnot. Well, again, I wasn’t blown away by anything I felt right away with these tires. It was interesting to note that in our “coarse gravel” here, I did manage to get rocks to ping around, not unlike any other gravel going tire. That said, it may seem that I have a negative view of the Cannonball. Quite the contrary. 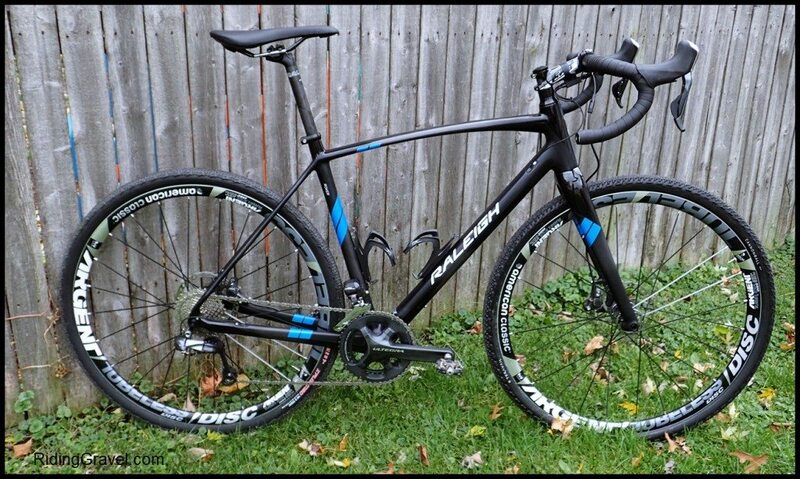 It is amongst the best feeling tires I’ve tried, and acts not unlike a Clement MSO in ride performance, and added to that, it is okay to run it tubeless. So, yes- this is a very good gravel tire, it just isn’t as fantastic as the words I was told and read earlier would have me to believe. The Cannonball tires showed a propensity for holding on to a bit more wet grit than some other tires do. Conditions during my last ride on these were a combination of soft, mushy, mostly dirt, and deep, coarse gravel. The softer, wetter sections showed that the tread pattern on these tires tends to grab on to the wet, sandy dirt and not let it go very easily. They would almost, but not quite, pack up in the conditions I was riding in. On the coarse gravel, the tires tracked straight, for the most part, and I did not notice anything irregular or negative about their performance here. There are a few claims made by Teravail about these tires, and the rolling performance of the Cannonball over loose, deep gravel is the only one I have found so far that sets it apart from many other tires this size. The Nano 40 TCS tires are also very good at this, so it may have something to do with the tubeless nature of the tires versus the actual tread patterns. More riding may tell me differently, so……. 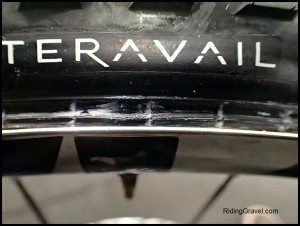 So Far……The Teravail Cannonball tires have lived up to their claims in the weight and width categories, plus their tubeless performance- so far- has been good. 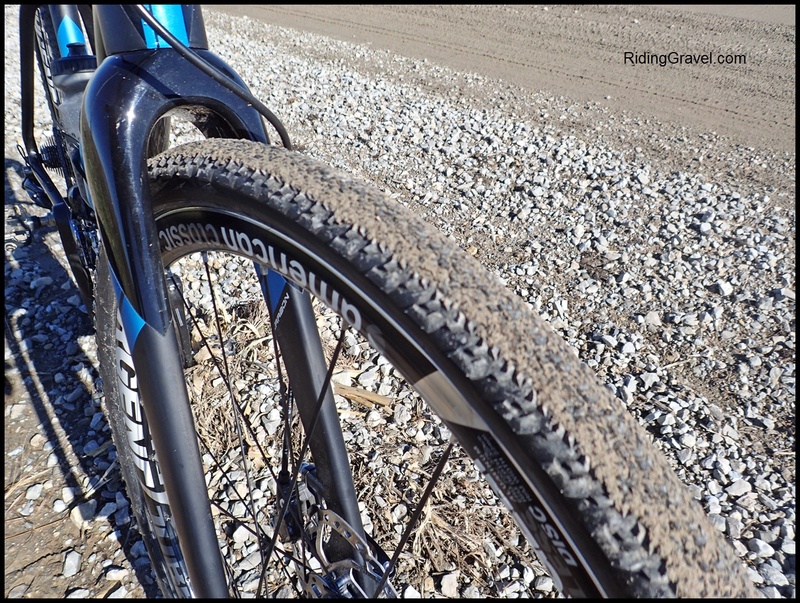 Riding them doesn’t set them head and shoulders above all other tires this size for gravel, but the Cannonball has to be in the conversation when it comes to tires to choose, if only because they are tubeless rated. The Cannonball tires are definitely really nice riding and fast feeling treads. Look for a Checkpoint update coming in a couple weeks or so. 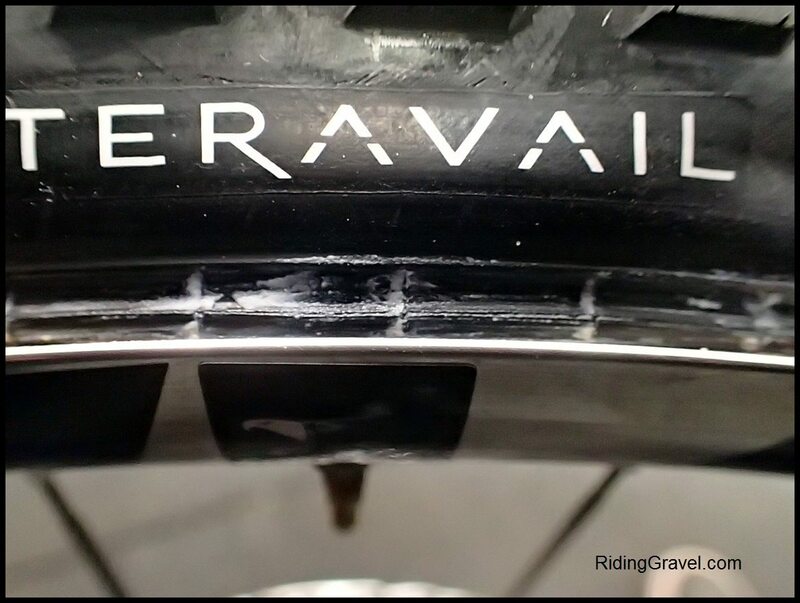 NOTE: The Teravail Cannonball 38mm tires were purchased by RidingGravel.com for test and review. We were not paid, nor bribed for this review, and we always strive to bring our honest thoughts and opinions throughout. Good to hear that these tires are true to size. I’ve had too many experiences of mounting a tire to find that it’s 2 or 3mm smaller than I was expecting. Hopefully this will also apply to the rest of the new Teravail range.